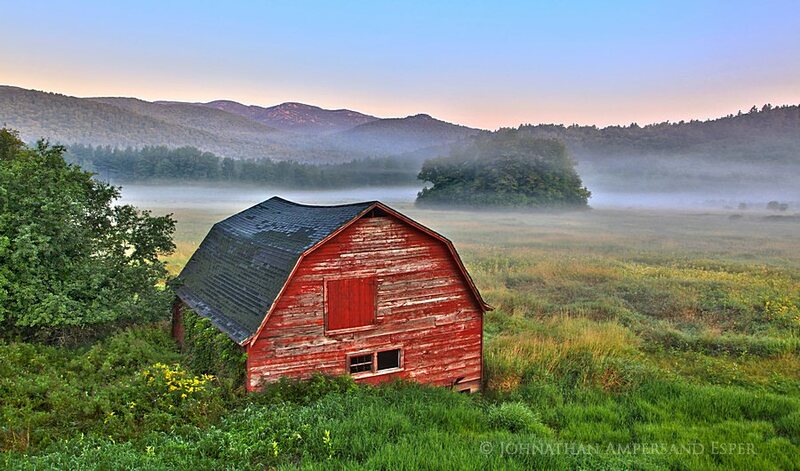 Keene Valley old barn in summer morning fog layer with the sunrise shining on Pitchoff Mt beyond. Photo published in the Adirondack Life 2014 Calendar. Photo © copyright by Johnathan Ampersand Esper.